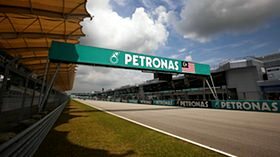 There's no time to sit and ponder the results from Melbourne, as Formula One moves swiftly on to the Malaysian Grand Prix. Today, we're looking at two Free Practice sessions. As drivers have now completed a full race weekend with their cars, they should know what to expect, and there'll be time for some more running - if the rain holds off. Felipe Massa is the one to watch, as Ferrari swap out his chassis for the test version instead.